When marketing a tourism-dependent island nation like Samoa, words like ‘pristine’ and ‘beautiful’ are often thrown around. But the question we ought to ask is… is this really the case? A quick Google search of Samoa will show you photos upon photos of beautiful clean rural areas, beaches, popular clean tourist spots and so on. 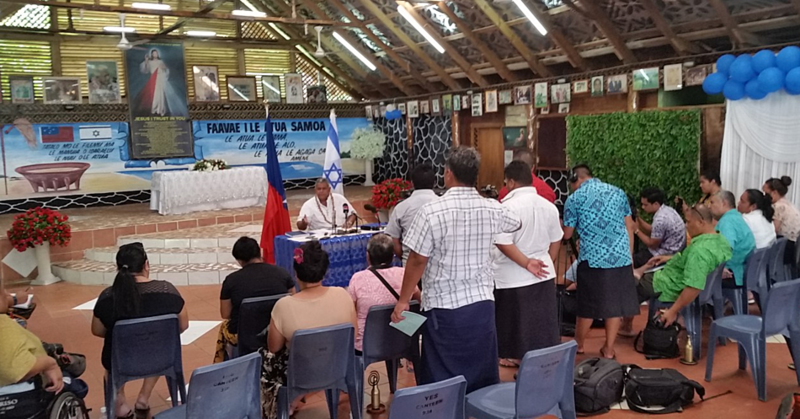 But what those photos do not show is the other side of the coin - Samoa’s urban areas and the somewhat lack of common decency from its dwellers, when irresponsibly disposing their inorganic waste. 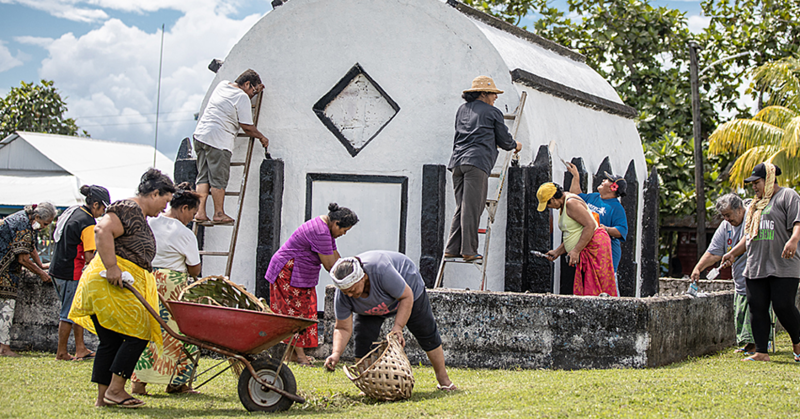 To put it bluntly, Apia is far from pristine, and there is way too much litter to even give it the right to be a part of the rest of Samoa’s “paradise” status. That may be hard to swallow for some but a quick peak under the seawall boulders, a morning stroll on Saturday or Sunday around popular weekend hangout spots, a look at freshly mowed public sidewalk areas, and a quick trip to the flea market will prove it to be true. According to the founder and president of ProGreen Samoa, ShaanerleiWard, some of their recent urban coastal clean-up exercises uncovered a lot of rubbish. “ProGreen has conducted three coastal cleanups so far and to our surprise, we were able to fill over 70 sacks with rubbish after each activity. “The common findings were single-use plastic bags, bottles, straws, Styrofoam cups and plates, and cutlery. These items were made to last forever but are only used once before being tossed away. “ProGreen sees these activities as an opportunity to raise awareness for both the youth and adults in hopes to encourage our people to use less single-use plastics and use more sustainable reusable alternatives,” she said. 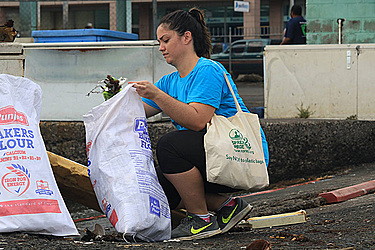 Furthermore, according to an intern of CI Samoa, who is also a member of the ProGreen group and assisted with the clean-up exercises, they were able to fill at least one sack of rubbish for every three meters while cleaning up in-between Apia’s seawall boulders. He said that the group would run out of sacks to fill long before finishing up an area. But how destructive can inorganic waste actually be to our environment? Well for starters, it is an eyesore and nulls that natural feel and look that a clean surrounding provides us. And if it is not cleaned up, it will remain an eyesore for many many years, due to the longevity of inorganic waste. Aside from that, marine life is sadly one of the most greatly affected by our inorganic waste, namely plastics, which will almost always find its way into the ocean. Often mistaken as food, marine animals eat the plastic leading to choking, injury or even death. An example of this would be turtles commonly mistaking plastic bags for jellyfish. Some terrestrial animals are also affected in the same way. Marine animals also get caught in rubbish debris – such as ropes, plastic beer can rings, plastic bottles and so on – which causes a lot of trouble for them. What about for us humans? Recent studies have shown that there are micro-plastic particles found in the flesh of many of the fish we consume. So ironically, we are eating some of our rubbish right back up. And for an Island like Samoa, with fish being a big part of our diet, this can be a real issue. Our inorganic waste also causes water pollution in our fresh waterways, affecting those who depend on it. It causes soil pollution affecting agricultural yields and quality, and it also causes habitat pollution, which affects both animals and humans. So what can be done address this in Samoa? The government of Samoa is already on the right track with their decision to ban single-use plastic bags and straws by January 2019. But they can only do so much without the support and commitment of the public to stop disposing their waste irresponsibly. According to Ms. Ward, there is so much we can do to prevent this issue from getting worse, such as increased awareness. “People need to constantly be aware of the effects rubbish has on the environment, marine/wildlife and eventually human beings. “We also need to break away from the habit of littering we have developed because we feel it’s a public maintenance worker’s job to pick up after us or because we find it convenient to litter rather than dispose our trash properly,” she said. 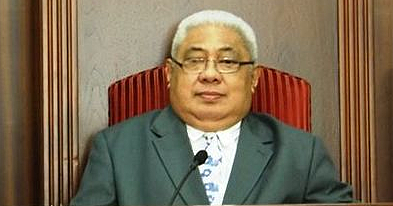 Ms. Ward and ProGreen Samoa have also been strongly advocating the use of environmental alternatives, which will help reduce the use of plastics. These alternatives range from reusable bottles to prevent the use of plastic bottles, reusable straws as opposed to plastic ones, using coffee mugs as opposed to Styrofoam cups, taking a reusable shopping bag to the store and so on. And with Samoa having very limited recycling options, saying no to plastics is a great first step to making sure Samoa retains that beautiful and pristine image, which we take so much pride in. This is one of the five topics addressed by CI Samoa’s ‘Guardians – Tausi Lou Fa’asinomaga’ campaign initiative (campaign details can be found on Conservation International Pacific Islands Facebook Page). The Trash Star Module teaches students of Samoa about the different types of waste, its impacts, as well as how to properly manage it. The Guardian lessons also emphasizes the five Rs: Refuse – saying no to the use of plastics, but instead use environmental alternatives; Reduce – to use fewer items that you know will be harmful to the environment; Reuse – to reuse something you already have instead of buying something new; Recycle – using used items for another purpose instead of discarding it; and then Return – to return used products back to businesses for them to use again, such as empty bottles. And just like all things, keeping Samoa clean only take a little common sense.